Did you ever struggle with the French conjugation? Did you ever think that it makes no sense at all? 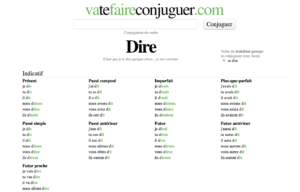 Fortunately, we have found 3 websites for you and your conjugation of verbs in French. The first one even offers an app you can add to your mobile phone! 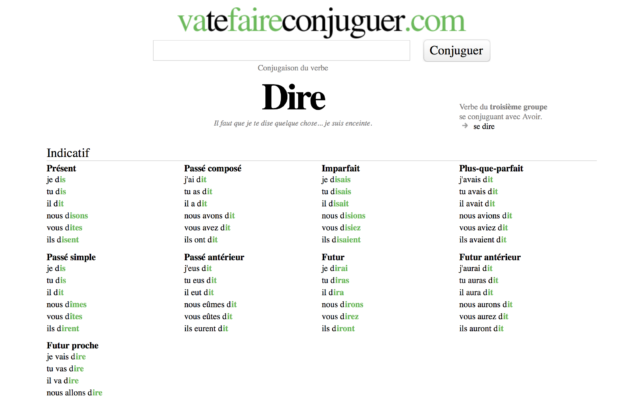 Va Te faire Conjuguer – Easy to use. Just write the verb you want to conjugate and voilà! All tenses for any verb only one click away. 2. Conjugue Ta Mère – A website with more information about French verbs such as conjugation of course but also rules about tenses and how to use them. 3. Le Bescherelle – A classic. Every French family owns at least one Bescherelle book!